Hannah Owens (8th grader/ Qualified last year as well) time 14:12-Two mile race. 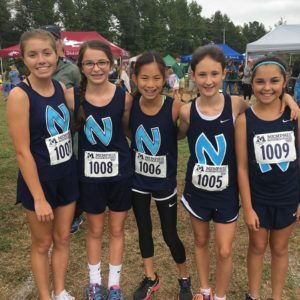 Kara Terry (7th grader/Qualified also as a 5th grader) 14:44- Two mile race. The 2018 Tennessee State Elementary/Middle School Cross Country Championships will be in Knoxville, TN on Saturday, October 20. Thanks to Coaches McClure and Saurenman, for a great season!